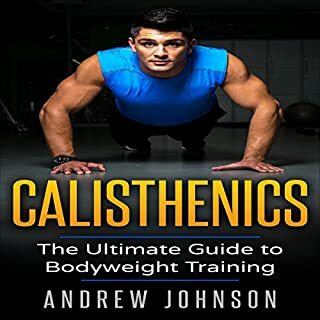 Calisthenics: The Ultimate Guide to Bodyweight Training shows you how to increase your physical ability, athleticism, and build a lot of strength and power without spending hours at the gym. It relies on no equipment, making it affordable and easy for anyone to do, even from the comfort of their own home. With your body weight and some proven exercises, you will learn how to improve your strength, even as a beginner. Twenty-six point two miles isn’t enough anymore. Obstacle course racing, which combines the endurance challenges of a marathon with the mind-bending rigors of overcoming obstacles along the way, is taking the world by storm. 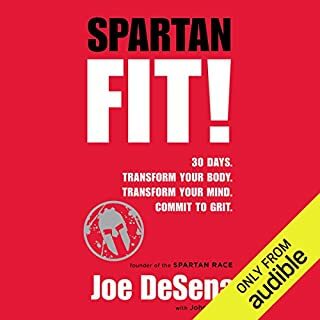 At the center of this phenomenon is Joe De Sena, the driving force behind the enormously popular Spartan Race. De Sena offers a simple philosophy: commit to a goal, put in the work, and get it done. Do you want to learn how to get strong with body weight exercises? Then this extraordinary Calisthenics Bundle will help you develop a strong, athletic body! Calisthenics includes the following books: Body Weight Training and Mental Toughness. The first book, Body Weight Training will teach you how to develop superior strength with Calisthenics. The second book, Mental Toughness, will teach you how to use mental toughness in your everyday life. What can the calisthenics 30-day lean muscle challenge do for you? You’re about to discover the proven calisthenics exercises to build incredible lean muscle on your body, and you can do so at home or outside in the street. In this audiobook, you will learn everything you need to safely get started in the right direction. You'll discover the crucial mistakes you must avoid when performing these exercises! Moreover, you'll learn the advantages of calisthenics exercises compared to other workouts. It will also share with you some of the best workouts and exercises to get you the most impactful results. Lastly, you will also get a 30-day exercise training routine plan, so you can get started right away! Includes bonus material 7 Fitness Mistakes You Don't Know You're Making. It is one that you can listen to over and over and still learn more. I have listened to part one two times. The narration is good, and it is an easily understandable and immensely educating about oneself and others. Great book with lots of useful information. Really helpful for beginners as well that want to achieve bigger goals in calisthenics. 5/5 Stars, would definitely recommend buying this book. An excellent introduction to basic and intermediate level calisthenics. 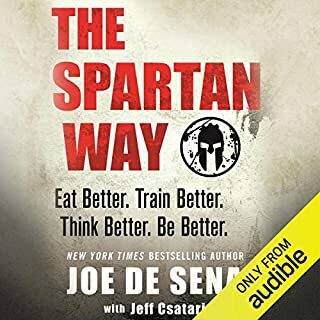 The audiobook begins with an explanation of what calisthenics is/does and some fundamental advice on diet, preparation and warm-up which I would advise everyone to listen. I am finally enjoying exercise again thanks to the variety and freedom calisthenics offers. This book has played a huge part in that as it is the only resource I was able to find which was created specifically for beginners. This is the place to start. Can't wait to begin my new workout program. Everything you need is spelled out. Very clear. Very easy to understand. I don't know jet if east to perform but at least..... I understand the movements..... it would be great to have videos somewhere. Calisthenics is the art of strengthening that can eliminate my weakness and produce strength. Easy to understand and create my own program. The explanations are really good. I recommend it to anyone wanting to start out with calisthenics. like how this book was written. So precise and easy to comprehend. For a beginner, this book is a great help. My husband does Calisthenics for quite a long run. I grab this book because I wanted him to learn new information and tips. However, I intrigued this audiobook so, I decided to listen to it. All of the exercises are detailed enough to help out me and other beginners on how to understand the stretches and exercises. I can't wait to fully submerge myself into the field of calisthenics with this book as my tool. I found this guide very informative and helpful. 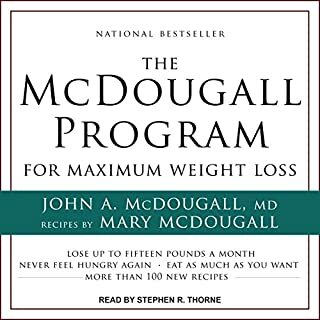 I liked this AUDIObook very much and I'm glad to have it on my Kindle too use when I need it. I highly recommend this guide for those who want to be fit and healthy. It is really worth LISTENING. 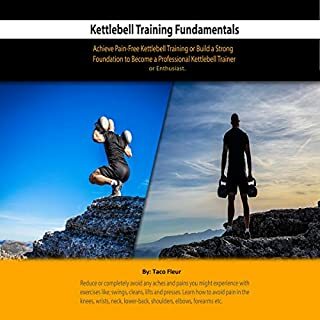 This guide is well organized and provides exercises that can be done anywhere without the need for gym memberships or expensive exercise equipment. This book includes great bodyweight exercises. All instructions are very detailed, easy to follow and helpful. The Explanation made very easy to understand the descriptions of the exercises. My friend recommended me this guide. This is a training bible for beginners like me. The author gives us the information about what Calisthenics is, diet and nutrition, how to know own body. 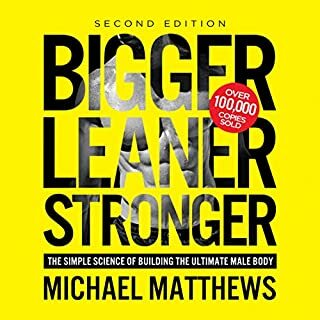 A great guidebook that will help you get in the best shape ever. The author has explained well all about calisthenics and how it works in your body. You will learn the importance of workout plans and nutrition to achieve fitness goals. The author used simple language that everyone can understand. 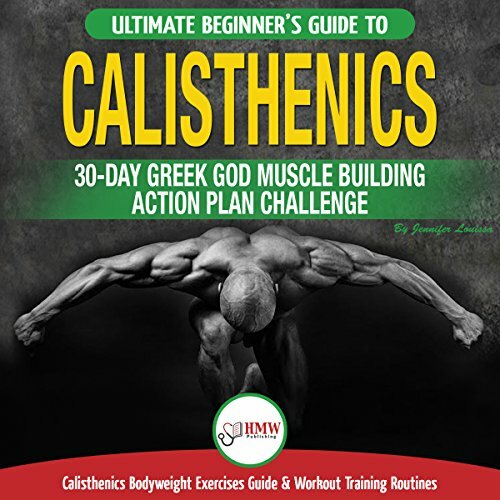 You can start callisthenic workouts by using this guidebook. I love strength training and this is very helpful and educational. It is written by "Jennifer " who also has a very informative newsletter that I subscribe to. It provides sufficient knowledge on how to obtain great shape and healthy weight right at home. You will not need the use of any equipment while doing these best exercises. The very practical book indeed. Definitely a fan of calisthenics. It's easy to understand and perform all the exercises. I'd recommend this to anyone who likes to workout.